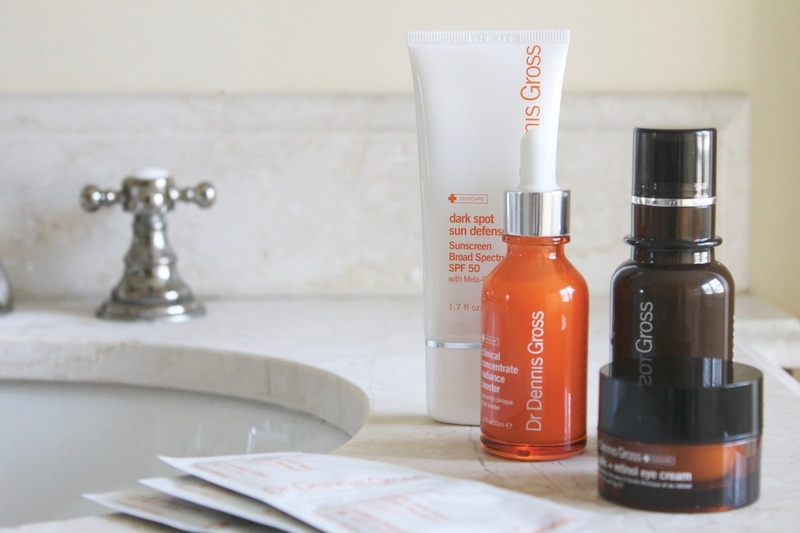 Dr. Dennis Gross Dark Spot Sun Defense - I am very, very picky when it comes to sunscreens as many tend to break me out or leave that tacky film on my skin. So, when I tell you this stuff is amazing, I really mean it. It packs a punch with an SPF 50, while managing to feel lightweight and completely absorb into my skin. I also love that it protects against dark spots, as hyperpigmentation really does tend to be brought out by the sun. It just feels comfortable to wear and you can be sure it's coming with me on my next getaway. 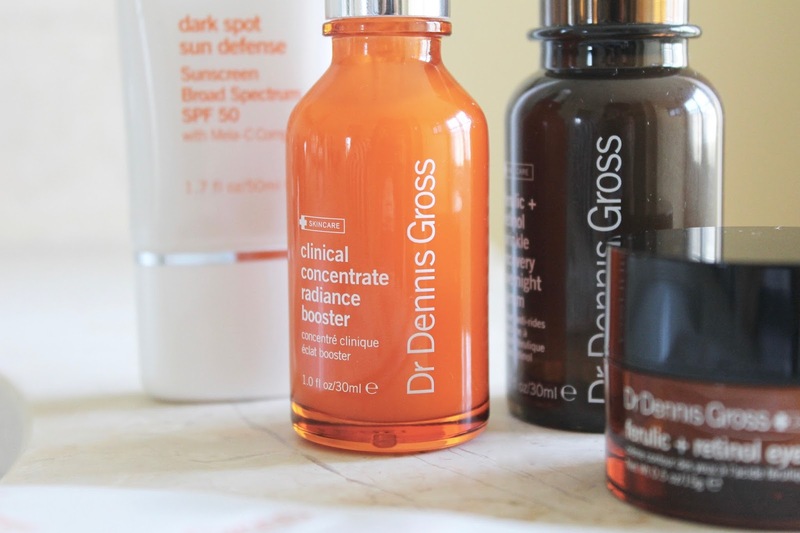 Dr. Dennis Gross Clinical Concentrate Radiance Booster - Probably the most versatile skincare item I've yet to come across, this serum contains a potent dose of Vitamin C and can be added to any other products to help brighten your skin tone. I love mixing a few drops in with my foundation, as it makes me feel as though I'm doing something good for my skin while wearing my makeup. Dr. Dennis Gross Ferulic + Retinol Wrinkle Recovery Overnight Serum - This creamy serum works overnight to help reduce fine lines, increase firmness, and reduce blemishes and imperfections. After using this cocktail of ferulic acid, retinol, and niacinimide I wake up with bouncier, plumper skin that's brighter. Dr. Dennis Gross Ferulic + Retinol Eye Cream - I am obsessed with the texture of this eye cream. It has the lightweight texture of a gel and the deep hydration of a rich cream, and it instantly makes the skin around my eyes appear firmer. After using this for a few weeks, it has definitely brightened my dark circles and it goes under my concealer like a dream. 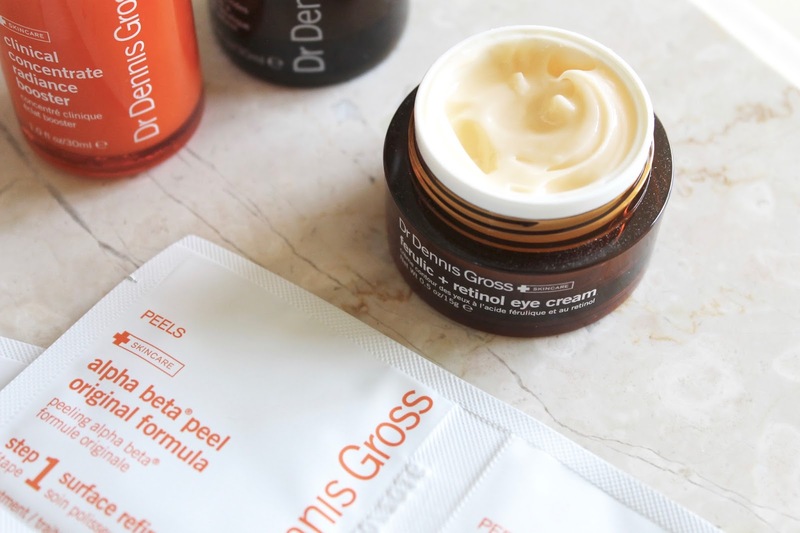 Dr. Dennis Gross Alpha Beta Peel Original Formula - Where have I been that I hadn't tried these previously? I rely on chemical exfoliation to keep my skin clear and bright and these individually wrapped two-step pads make the process so easy and effective. I love that they're gentle enough for daily use and don't cause any irritation at all - no redness, nothing! Since using these, my pores look smaller, my skin feels smoother, and I've had no breakouts whatsoever. Pretty good deal, no? Have you tried anything from Dr. Dennis Gross before?